Who hoeth and planteth week after week. When all looketh perfect, uh-oh, here cometh hail. 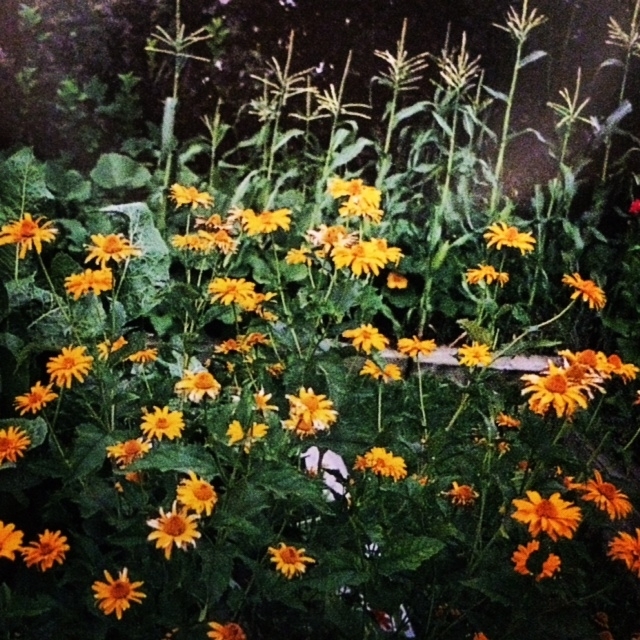 Joanne hails from a farming community in Kansas where tilling, planting, and harvesting were as natural as breathing. So it follows that she and her husband Peter have reserved a section of their property for a well-loved vegetable garden. With Joanne’s help, Peter designed and built the raised beds using railroad ties. Four-foot wide paths between all the beds enable easy access for planting and maintenance. 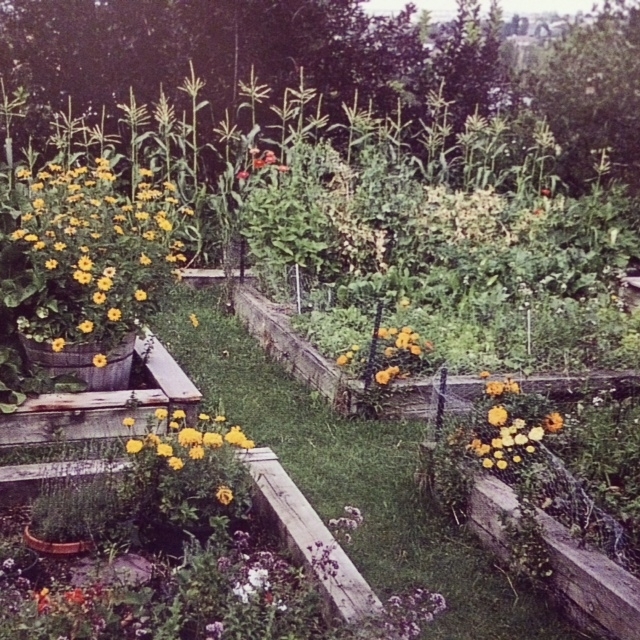 A wealth of vegetables thrives in this garden: pumpkins, corn, squash, horseradish, kale, tomatoes, Swiss chard and zucchini. Like all Americans of Italian heritage, Peter enjoys good food. And in Joanne he has found someone who not only grows the food, but cooks it to perfection. Her table groans under a Lucullan feast of freshly baked bread, soups, vegetable dishes, and salads. This labor intensive garden keeps these two gifted gardeners busy all season–and the rewards are worth their efforts. She makes the most of her compost and buys the rest from a brewery, which makes a special effective mix. She grows most of her vegetables from seed. The exception is tomatoes because they ripen too late from seed. 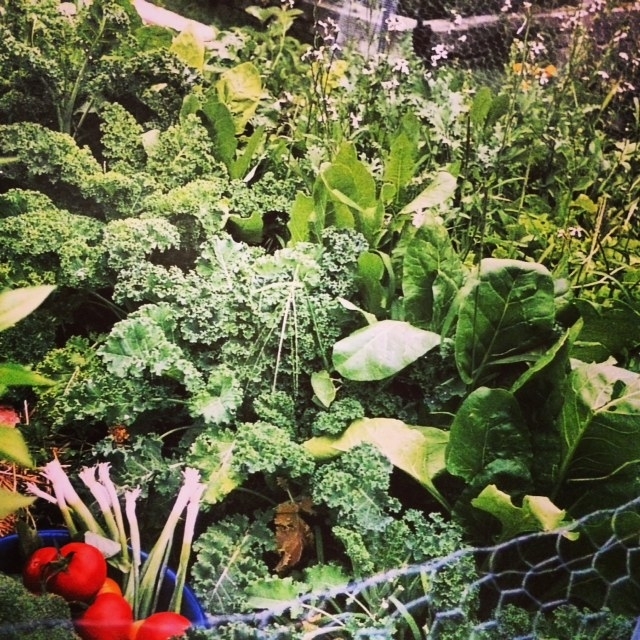 Her garden is organic; no chemicals are used. Mint repels cabbage worms, ants, and rats. But be careful: mint can be invasive. A beautiful array of mixed vegetables. Kale, Swiss chard, and horseradish. 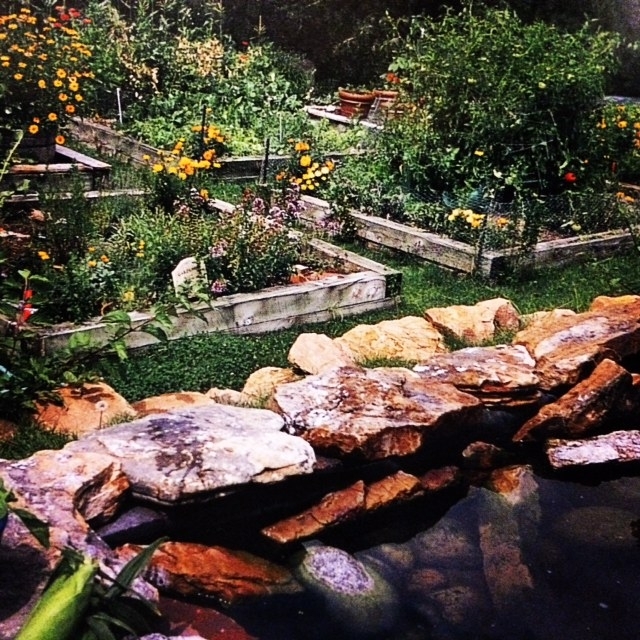 The pond overlooks the vegetable beds.